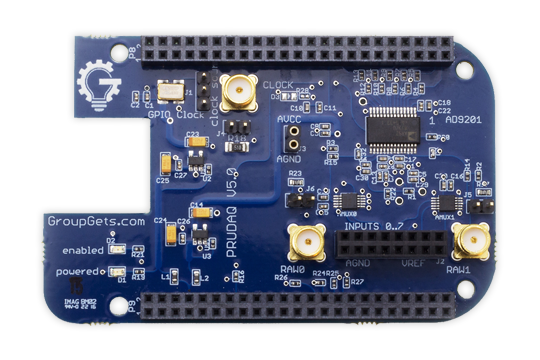 I have just created the GroupGet for PRUDAQ - 40MSPS DAQ BeagleBone Bundle (Round 3)! Will this board work with Logi-Bone connected to beaglebone? You'll have to look at the pinouts and make sure that there isn't any overlap. We've never looked at that cape specifically. Definitely let us know if it works out though.